The WordCamp Seattle organizers had great foresight when they chose last weekend for their 2012 event at the Seattle Art Museum. Not only did everything turn out perfect, from the weather to the venue, but 10up’s entire Portland contingent was able to make the trip. We had an excellent time mingling and meeting likeminded folks and were impressed with the quality of sessions offered in all three tracks. I think the only regret is we weren’t able to attend them all. Pete Mall did a nice job spreading the word on performance, optimization and scaling. While it’s great that more and more site administrators know to enable some kind of caching on their site, it’s even better we know what happens when that activate button is clicked. Michael Pick led a very amusing session in honor of the day’s freshly launched Code Poet site, sharing the results of a survey in which developers pondered things they had learned the hard way over the years. Scott Berkun gave a fantastic keynote by moving technology and developers aside and encouraging everyone to concentrate on the art of creating. His message was that art takes work, and no matter what special tool you have to help, you still need to do the work. Daniel Bachhuber showed off some more focused tools that a developer should have in their belt, WPshell and WP-CLI. Both allow for different approaches to tasks that may require some creative or repetetive problem solving. 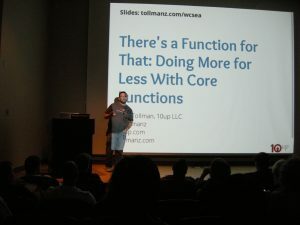 Our own Zack Tollman gave both entertaining and instructive insights in his talk – There’s a Function for That: Doing More for Less with Core Functions. It’s always great to see developers at the top of their game learning something knew and the diversity in the room made it so that every piece of the presentation helped somebody. I’d like to think that everybody there left with a desire to learn more from WordPress core code. Eric Mann rounded off the day with an impressive and wide variety of APIs. He was able to show quick working examples of the WordPress.com, BreweryDB, NASA Open Data, and Stripe APIs. It’s always beneficial for developers to hear how easy data can be shared. All in all a great day and a great weekend hanging out in Seattle. 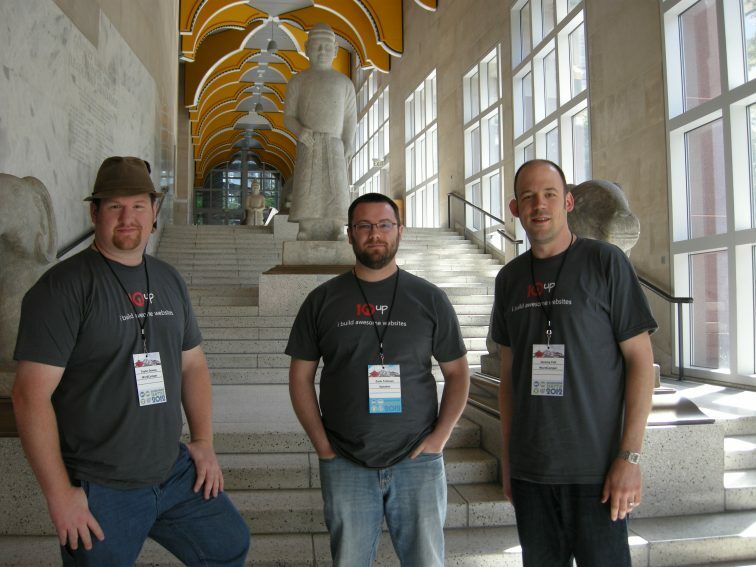 The WordPress community does an amazing job of coming together for a good WordCamp and I think I speak for everyone at 10up when I say we’re happy to be a part of it.